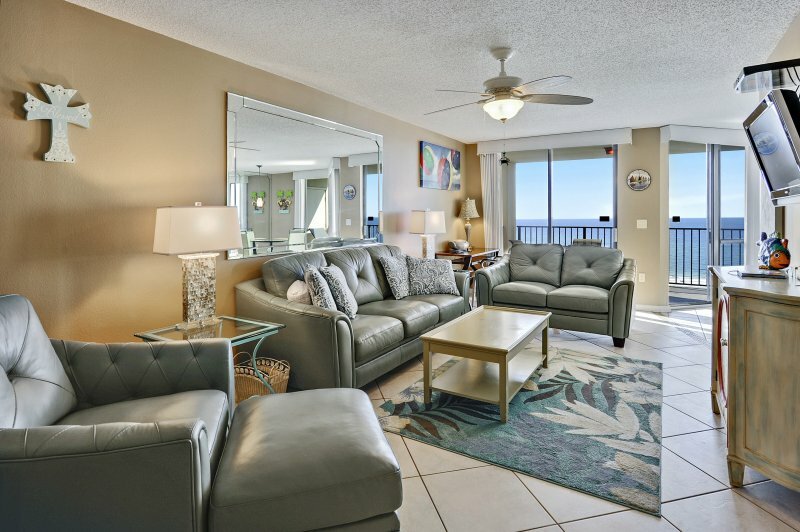 You will enjoy our beautiful, fully furnished 2 bedroom 2 bathroom condo that is just a short walk to the beach. There is a hot tub right outside the front door and the unit is just steps from the large pool. 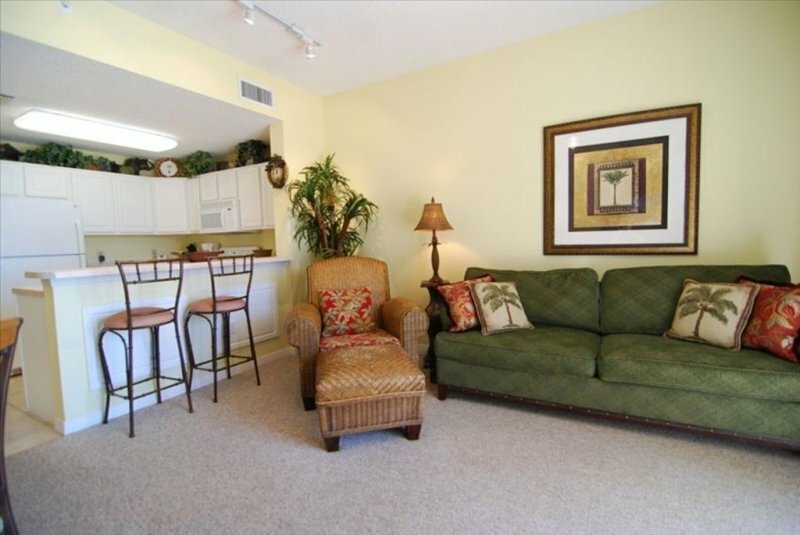 Beach towels and chairs are provided in our unit for your use, so just pack your bags & come enjoy our beach condo home! 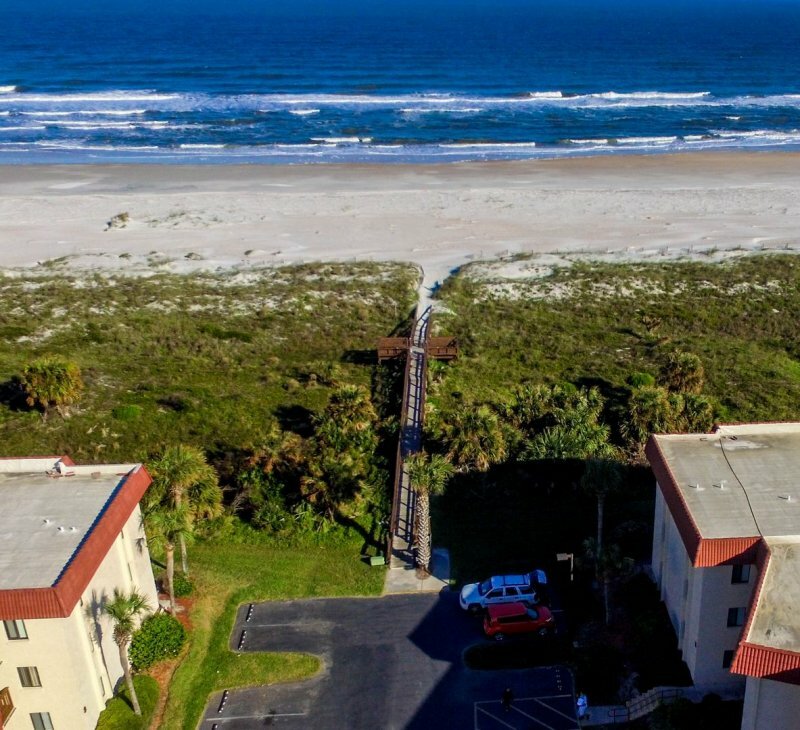 The winter season at the Ocean & Racquet Club Resort attracts a lot of Snowbirds. The community here during the winter contains mostly 55+ seniors which are a very active group. The resort has newcomers as well as repeat guests who have been vacationing at the Ocean & Racquet Club Resort for years and years. The social committee plans a variety of exciting events, including: Bingo, Movie Nights, Super Bowl Party, Tai Chi, Yoga, Water Aerobics, Aerobics, Zumba, Lectures, Book Club, Bridge, Poker, St. Patrick’s Day Party, Dance Lessons, Musical Guests and so much more. The kitchen at our condo is fully stocked. There is a 43’’ flat screen tv in the living room and each bedroom has its own tv with cable. 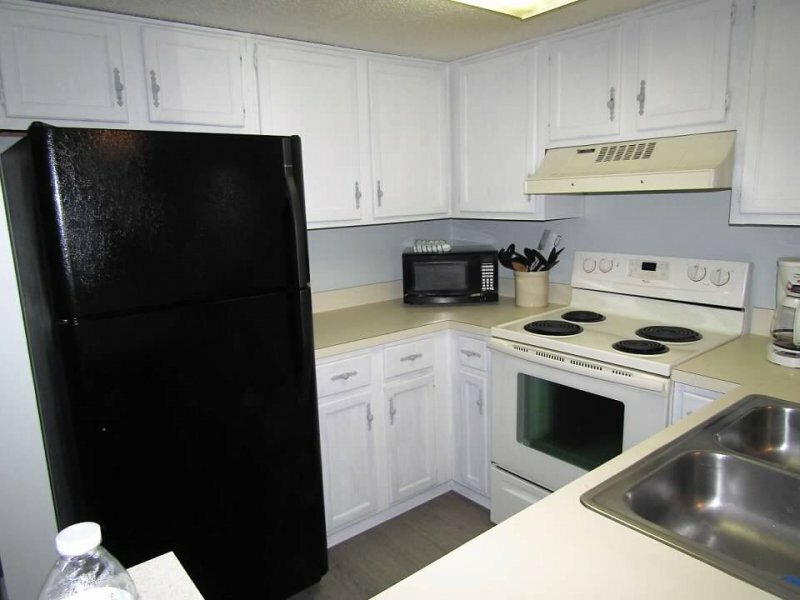 The unit has WiFi and there is a landline phone with unlimited local and long distance. The unit will have all new vinyl plank flooring installed in October. 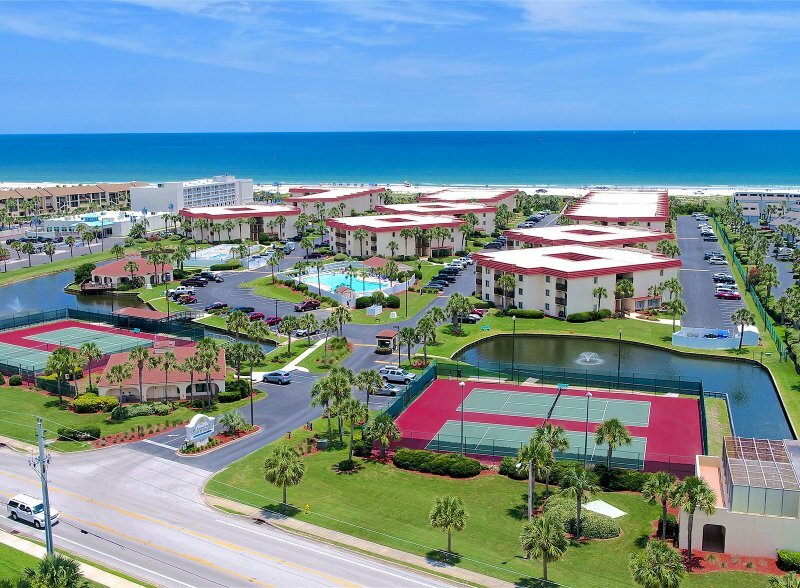 Our oceanfront complex offers great amenities: 5 hot tubs, 2 pools (one heated), tennis courts, fishing ponds, shuffle board, our boardwalk with direct beach access and no steps to the beach and 24 hour security. 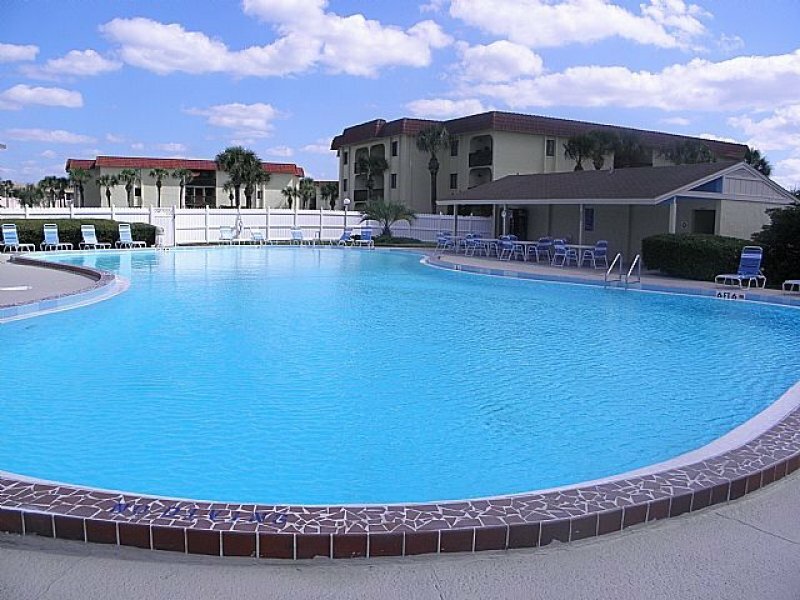 Our unit is located directly across from the main pool at the front of the complex. This is at the opposite end of the boardwalk which is just a short walk across the parking lot. Historic St. Augustine is just a few minutes away, where you can explore our nation’s oldest city. 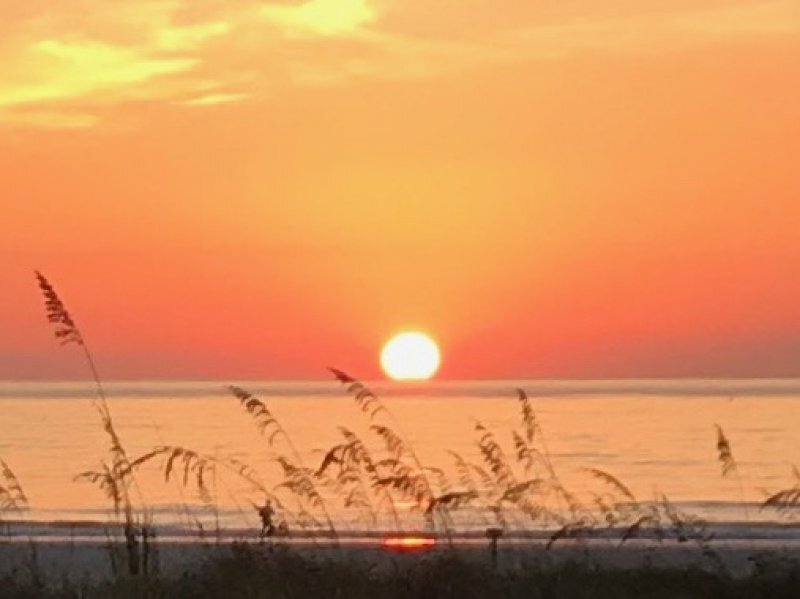 Some of the areas finest restaurants are just around the corner, as are supermarkets, souvenir shops, and everything else you’ll need to make your St. Augustine vacation a success. 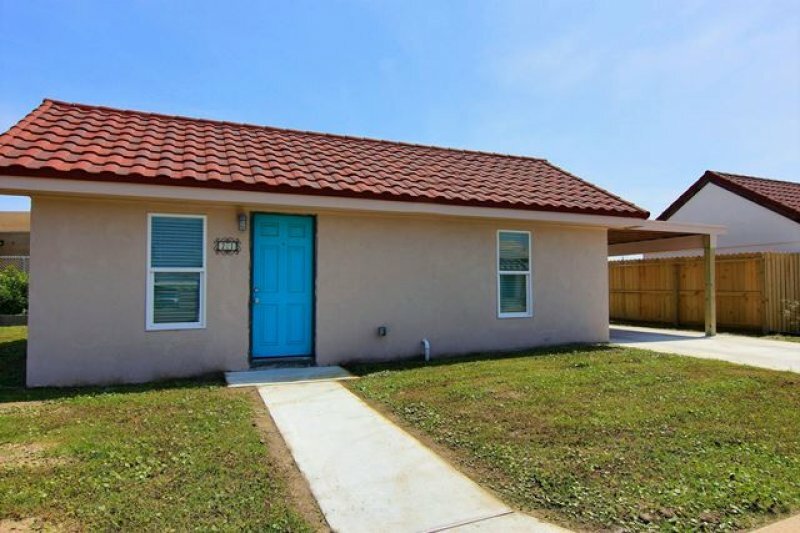 The sportsmen will love the options for fishing and golfing that the area provides. For your information the resort has a few restrictions: No pets, no bike riding on the property, no boats, trailers, RVs, campers, motor-homes, vehicles with signage, Electric grills only. 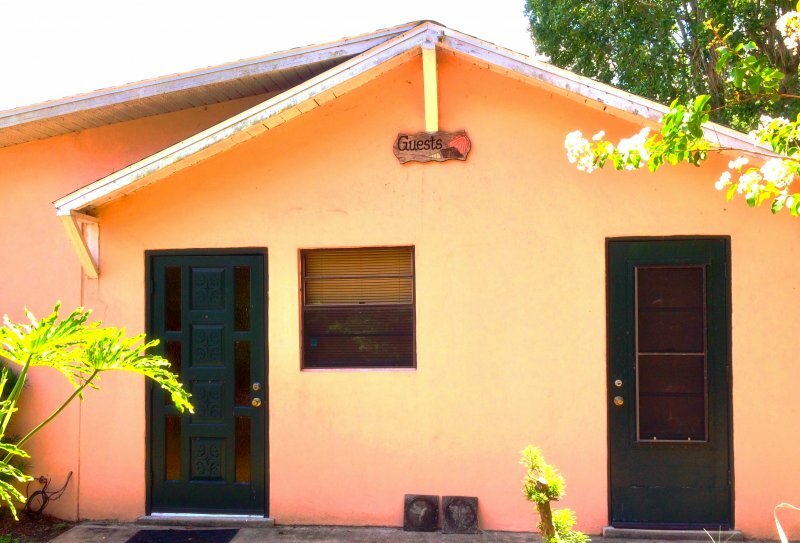 Description You will enjoy our beautiful, fully furnished 2 bedroom 2 bathroom condo that is just a short walk to the beach. 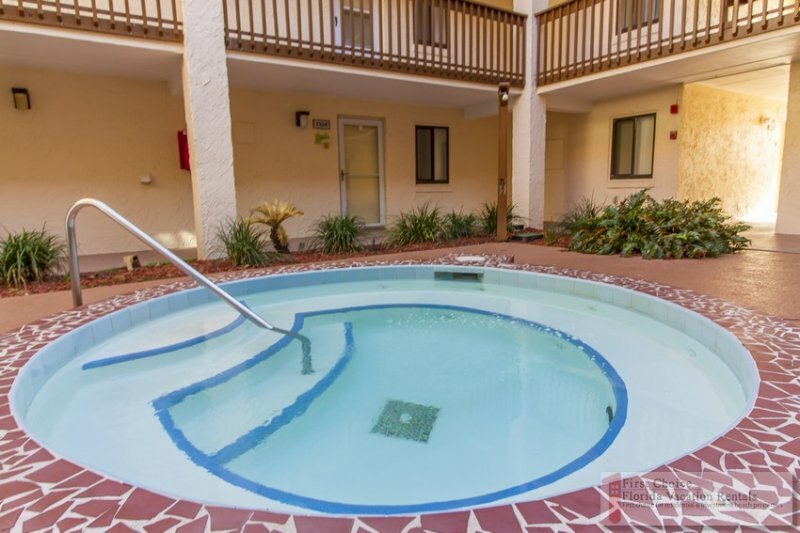 There is a hot tub right outside the front door and the unit is just steps from the large pool. 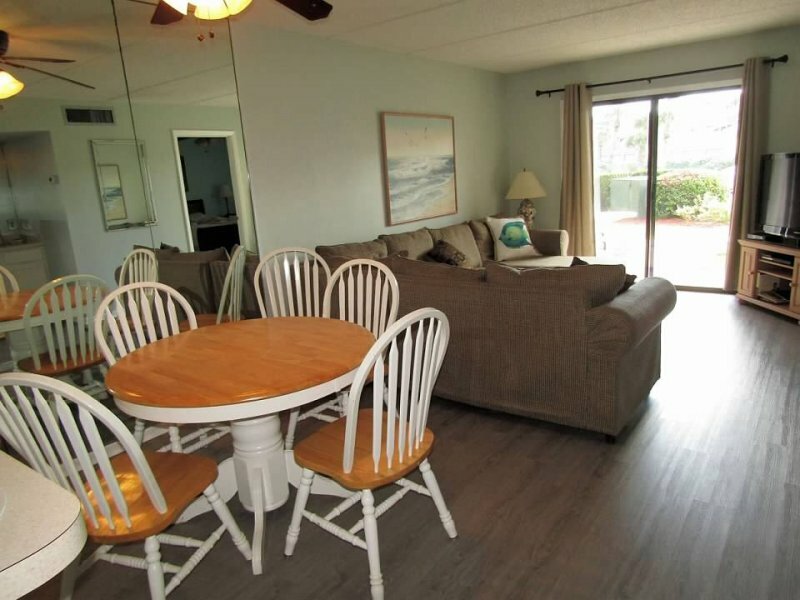 Beach towels and chairs are provided in our unit for your use, so just pack your bags & come enjoy our beach condo home! The winter season at the Ocean & Racquet Club Resort attracts a lot of Snowbirds. The community here during the winter contains mostly 55+ seniors which are a very active group. 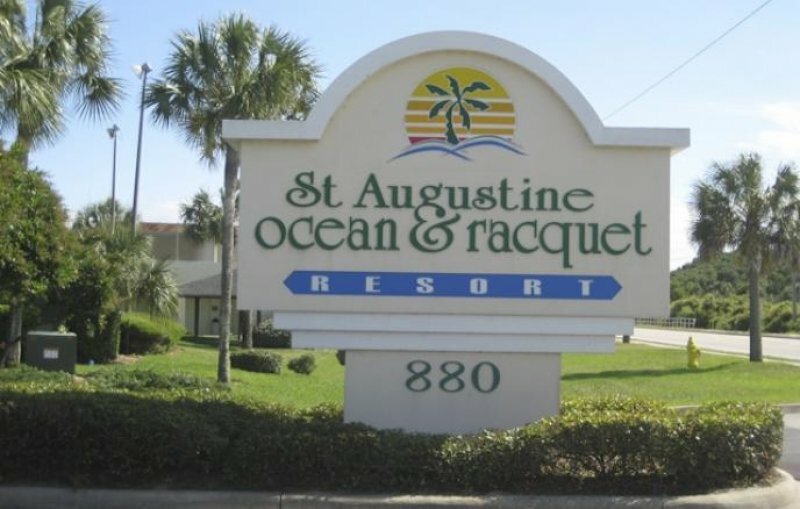 The resort has newcomers as well as repeat guests who have been vacationing at the Ocean & Racquet Club Resort for years and years. The social committee plans a variety of exciting events, including: Bingo, Movie Nights, Super Bowl Party, Tai Chi, Yoga, Water Aerobics, Aerobics, Zumba, Lectures, Book Club, Bridge, Poker, St. Patrick’s Day Party, Dance Lessons, Musical Guests and so much more. The kitchen at our condo is fully stocked. There is a 43’’ flat screen tv in the living room and each bedroom has its own tv with cable. 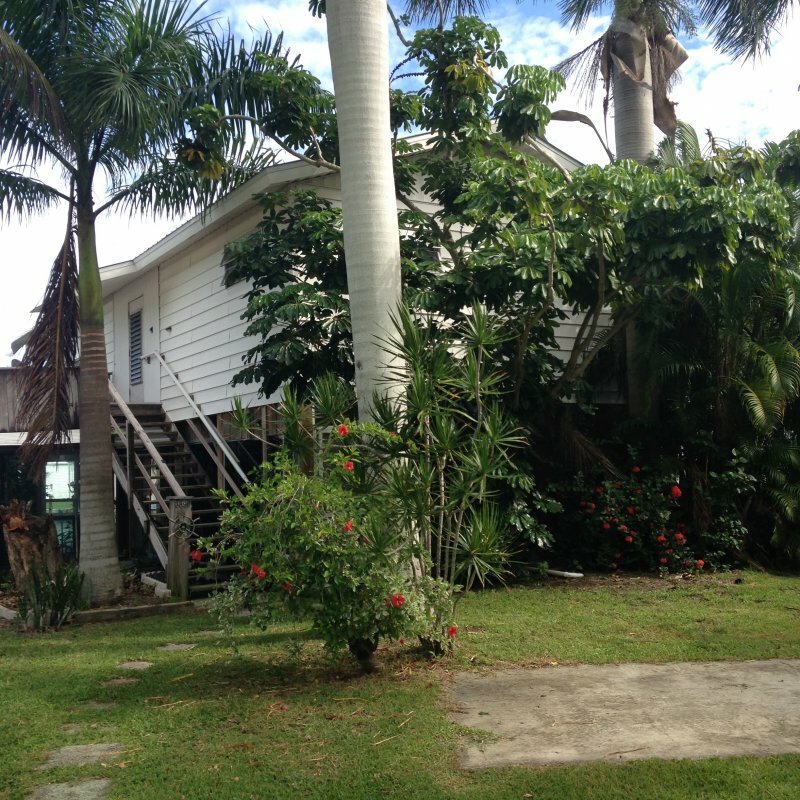 The unit has WiFi and there is a landline phone with unlimited local and long distance. The unit will have all new vinyl plank flooring installed in October. 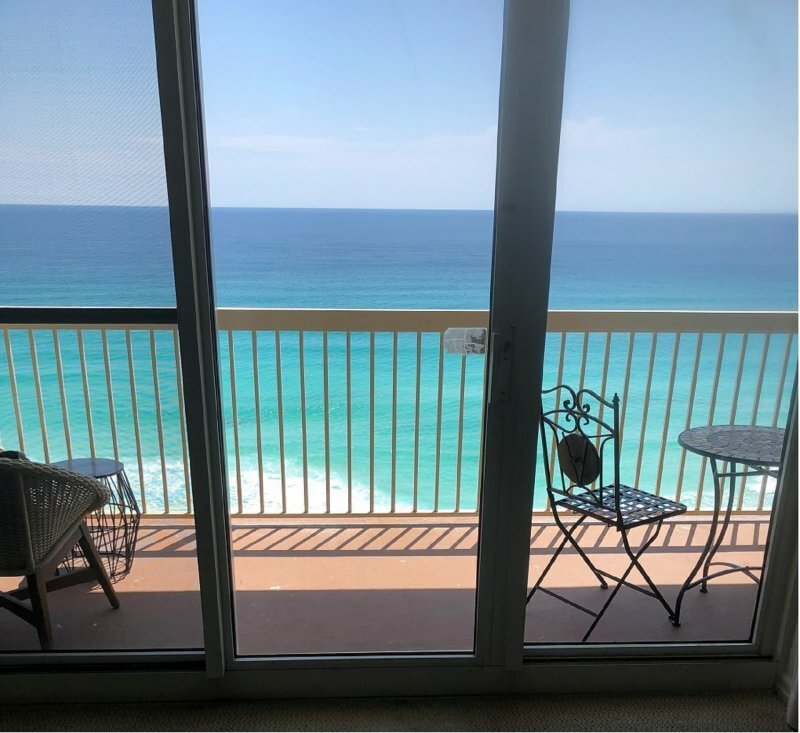 Our oceanfront complex offers great amenities: 5 hot tubs, 2 pools (one heated), tennis courts, fishing ponds, shuffle board, our boardwalk with direct beach access and no steps to the beach and 24 hour security. Our unit is located directly across from the main pool at the front of the complex. This is at the opposite end of the boardwalk which is just a short walk across the parking lot. Historic St. Augustine is just a few minutes away, where you can explore our nation’s oldest city. 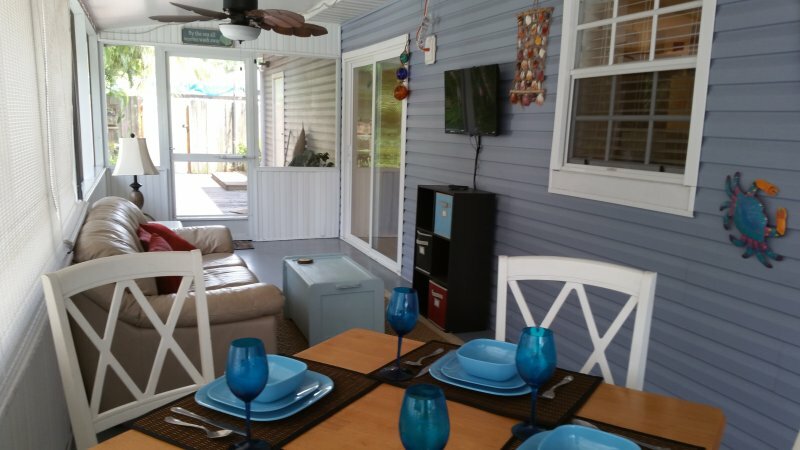 Some of the areas finest restaurants are just around the corner, as are supermarkets, souvenir shops, and everything else you’ll need to make your St. Augustine vacation a success. The sportsmen will love the options for fishing and golfing that the area provides. For your information the resort has a few restrictions: No pets, no bike riding on the property, no boats, trailers, RVs, campers, motor-homes, vehicles with signage, Electric grills only. 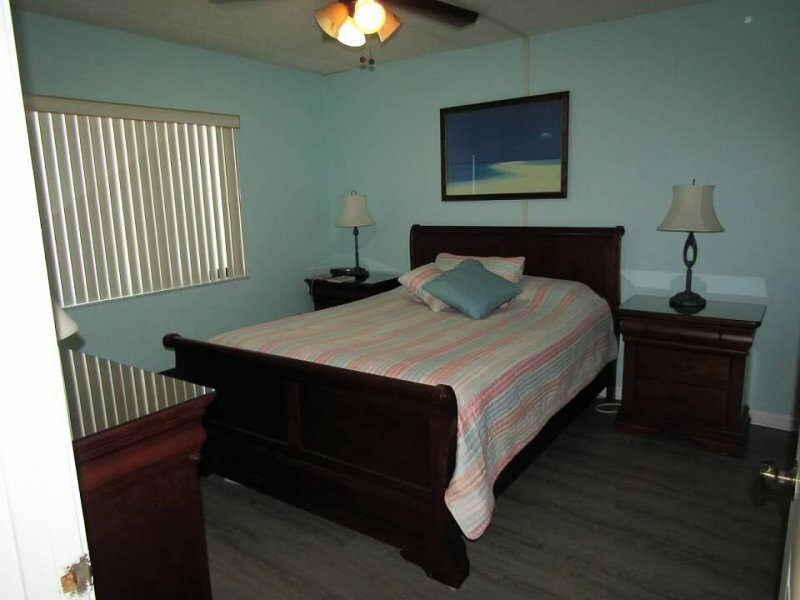 The resort is oceanfront, but our unit is located at the front of the complex and does not have an ocean view. The gated boardwalk is just a short walk through the parking lot.